There are currently 88,766 users on this website. 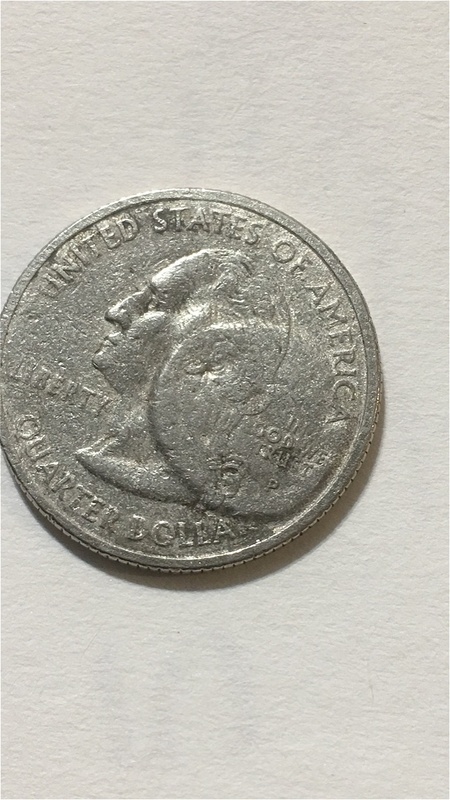 Information On This 2002 Quarter Error? I found this in my pocket change today. 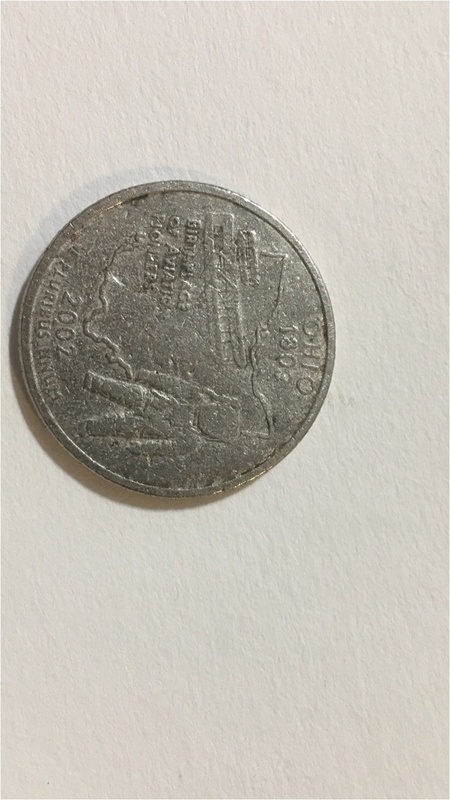 It is a 2002 Ohio P quarter. The circle you see on the front of the coin protrudes out word. The back appears to be normal. Please post an image of the reverse. Also, crop the image to just the coin. To CCF! Just a damaged coin unfortunately with Post Strike Damage ( PSD). @TonyTharp, first welcome to CCF. Second, if a coin is heated, you can get this sort of bubbling between the layers of cladding, but I agree that a pic of the other side might be useful. I understand that it looks normal, but it still would be nice to see. Thx. Not an error, just damage. It is only an error if it happens during the striking of the coin. Anything after that, such as your coin, is classed as damage.